We just had a pretty rockin' Ron Swanson Birthday party in these parts. One of the presents was this Ron Swanson T-shirt. It was SO easy to make, and it complemented the party perfectly. This isn't the first time I have given personalized t-shirts as gifts. I love making them! They are so much fun and can be a really unique gift for that special person in your life. 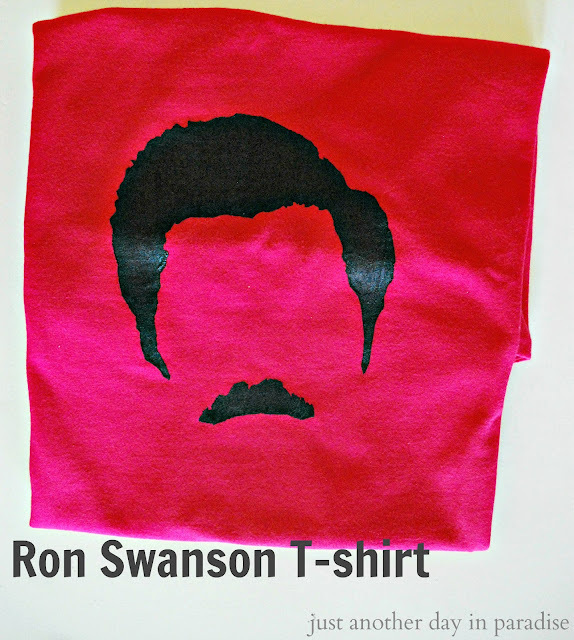 SO if you know a Ron Swanson fan...gather up some supplies and whip out this fast and easy Ron Swanson t-shirt. I used this image found here. Download the image on to your computer. Insert into a word document. Then print off. First, place the Ron Swanson print-off underneath a piece of freezer paper. Trace the outline. 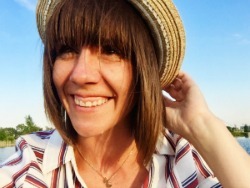 Cut out with an exacto knife. Remember, slow and steady is the best way to be precise. Once your image is cut out, lay the t-shirt out flat on an ironing board. Pick where you want the image to be. Iron the freezer paper stencil in place...yes it will stay. AHMAZING. Place a piece of cardboard between the layers of the shirt so that the paint doesn't bleed through. Slowly apply paint to the t-shirt. Apply lightly at first, then go back an apply more. Make sure to be careful around edges to avoid bleeding. You can let it set for 4 hrs...but who wants to do that?? Plug in your handy dandy blow dryer and speed up that process. Once it is completely dry, peel away the freezer paper. Bam! 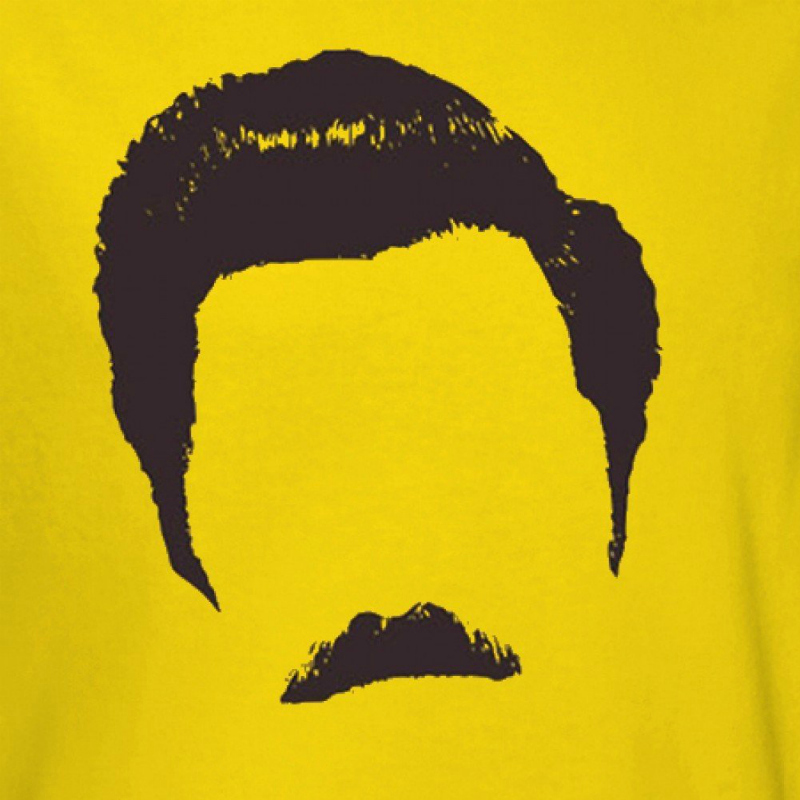 You now have a pretty awesome Ron Swanson t-shirt. Wear it OR fold it up, wrap it up, and give it away as the most awesome gift ever. I love this idea! You'll not believe nmem, but I have no idea who Ron Swanson is, unless he's on Parks & Rec(?) don't know why thats ringing a bell. But anyhow! I love the idea of the paint on the t-shirt and quick dry! This is a great way to give longer life to shirts which have gotten stained!